Final Fantasy X and its direct sequel FFX-2 were two of my favourite FF games and also some of the few i ever played through. 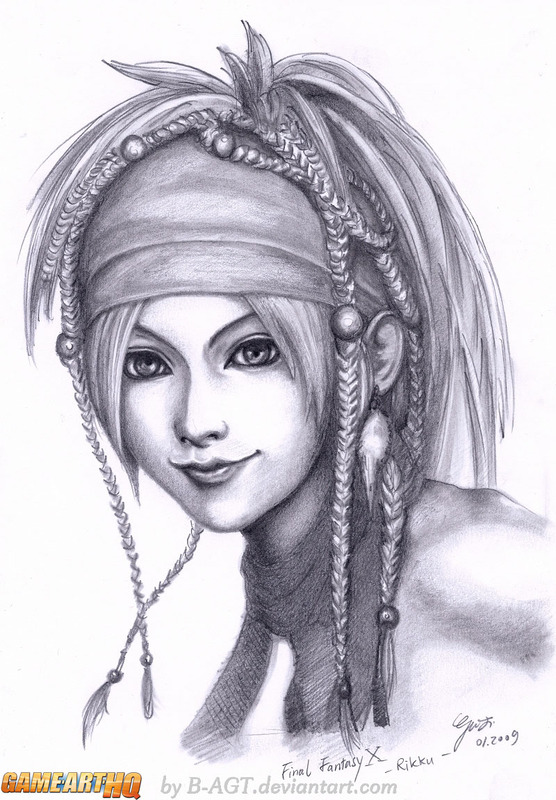 While not being as epic as FFVII-IX they still had an awesome cast of funny characters including Rikku the Ali-Bhed, drawn here with pencils..the oldschool way on real paper made of wood (woot) by German artist B-AGT a few years ago already. I am more a fan of art created using digital tools but sometimes the traditional one is just fuc#ing beautiful. I believe this Rikku is such a case. Guess i am going to buy the upcoming FFX HD Remake for Playstation 3 soon..alone already because the Last Mission stuff for FFX-2 which was only available in japan before.